We have a plethora of excitement, wonder, and… Loki. Actually, two Lokis but neither of them are Tom Hiddleston. Sorry, ladies. 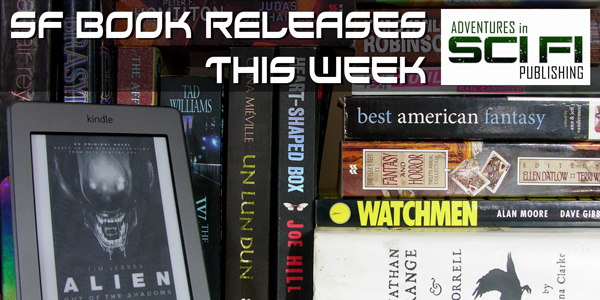 But we also have TV adaptations, space ships, demon hunters, and soldiers who won’t stay dead among the many choices for your SFF BOOK RELEASES THIS WEEK! And don’t forget the copypasta: If you are an indie or small press author and would like your book included in this list, email us at adventuresinscifipublishing [at] gmail [dot] com. If you love free books, reviews, and podcasts, sign up to our AISFP Wormhole newsletter. The job should be easy enough. Laura hates Alicia for betraying their family and joining a rebellion set on usurping their father, the Emperor. Besides, Laura’s been killing at her father’s command since she was eleven. But before Laura gets the chance to end her sister’s life, she is dragged into the mess of the rebellion by her bodyguard, Shane Kagae. 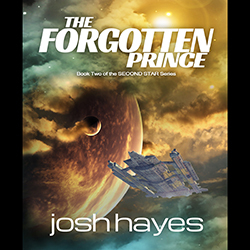 As Laura and Shane uncover secrets that her father has been keeping for years, they realize that Alicia and the rebels may have been right about the Emperor all along. When their disloyalty comes to light, Laura is forced to choose between saving Shane’s life and remaining loyal to her father. She chooses Shane, and they flee the palace, Laura’s heart breaking with every step. Will she return to her father’s side to lead the war or give up her crown forever to help the rebellion? Embroiled in plots beyond his comprehension and weighted with the guilt of the prince’s murder, Fallon must tread carefully if he is to accomplish the task that first brought him to the cursed capital: rescue his wife, Bridgit, and the rest of his village from Kottermani slavery. If he and his hopelessly ensnared men can survive, they may yet find redemption. For ages warfare has crippled the continent as minor city states, baronies, and principates fought in an endless round of hostilitites. Only the alliance of the rival Tali and Quon cities could field the resources to mount a hegemony from coast to coast — and thus become known as Quon Taili. It is a generation since the collapse of this dynasty and regional powers are once more rousing themselves. Into this arena of renewed border wars come two youths to the powerful central city state that is LiHeng. One is named Dorin, and he comes determined to prove himself the most skilled assassin of his age; he is chasing the other youth — a Dal Hon mage who has proven himself annoyingly difficult to kill. Li Heng has been guided and warded for centuries by the powerful sorceress known as the “Protectress” and she allows no rivals. She and her cabal of five mage servants were enough to repel the Quon Tali Iron Legions — what could two youths hope to accomplish under their stifling rule? It is the late 23rd century. 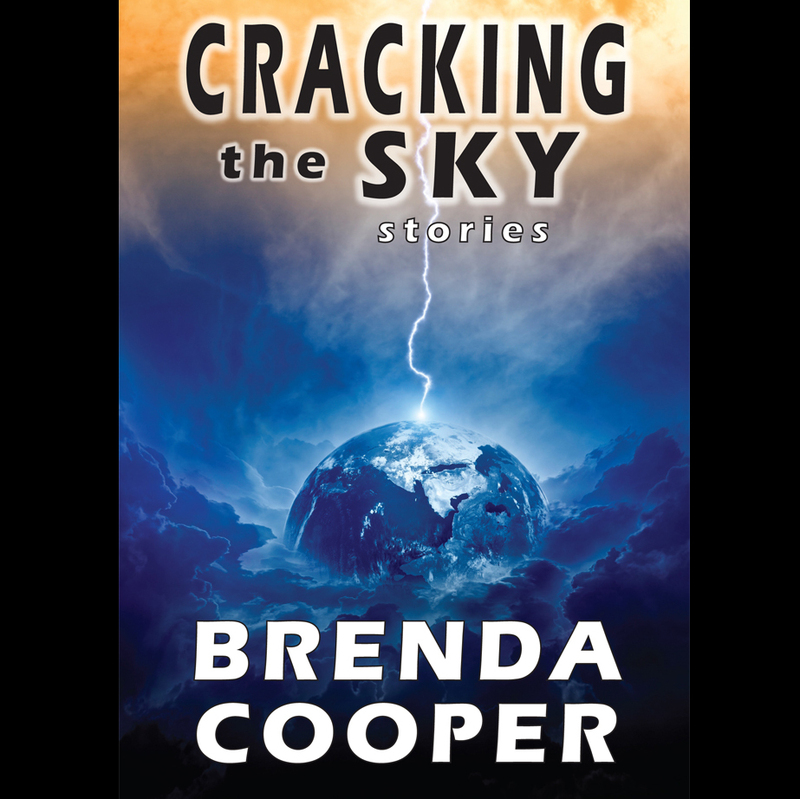 For engineers Jessie Madison and her husband David, a routine maintenance contract on board the orbital mining station Moria 3 has become a nightmare. Upon awakening from cryo-stasis, they learn a horrifying truth: while they were asleep, machines rose up against humanity…and won. That is, if they can defeat the threat, ensure no more safe havens are destroyed-and manage to evade the killing shadows of Saul’s past. A year after the fateful events of the Odessa Summit, the world is a very different place. It’s certainly no longer friendly for Evolved Humans—or “Evos”—who are held responsible for what happened. If the government doesn’t find you, there are some tenacious and merciless Evo-hunters out there who will. Based on Tim Kring’s original drafts of the script for the season premiere of Heroes Reborn and includes content not seen in the TV show. As the number of Evolved Humans increases, so does the pressure from the governments and people of the world. Father Mauricio begins searching for a way to help all Evos after befriending a troubled teenager who possesses a devastating secret. As a priest, it is Father Mauricio’s calling to protect the innocent and this includes the Evos who, by no fault of their own, find their lives and freedom being threatened. A veteran Federal agent begins investigating the involvement of ruthless Los Angeles Police Department detective James Dearing in the death of an Evolved Human. But when she gets close to uncovering a dangerous truth, it could cost him everything: his job, his freedom, maybe even his life. Apolline is happy hunting magical creatures on her pirate infested outer-perimeter planet. She is a fantastic shot, and doesn’t flinch at the blood and guts of her kills. Never once did she consider she could be the missing Princess of Tyrone. All her life, she has heard the story of the Princess, cursed to sleep for eternity, unless her betrothed, the Prince of Oran, gave her true love’s kiss. Although Apolline knows she is betrothed, she thinks her fairy guardians arranged it out of ignorance of human ways. The thought she could be a princess is inconceivable. Then Allard appears. Handsome, charming-but he’s not hers to have. He’s betrothed, too. Her guardians warn her against her new found friendship, but she and Allard meet in secret anyway. Despite her rough exterior, he sees beyond her gun-slinging bravado, and their love blossoms. But the deadline for the sleeping curse is approaching. If Apolline falls in love with the wrong person, she could end up sleeping forever. George Washington has three problems. One is the fact that the British have landed 20,000 troops to fight him on Long Island. The second is that the British navy is at his back, blocking any hope of retreat and the third is that two children, Eddie and Angie, claiming to be from the year 2014 have just been captured and brought to him by Lieutenant Collins. Eddie and Angie do not paint a hopeful picture of the upcoming battle. They claim to be lost, having been accidentally sent there by their eccentric Uncle Sol. Unknown to Washington, a British spy wants to kidnap the children and use them to help the British war effort. The challenge Eddie and Angie face is to stay out of the hands of the British and to find a way to get home. Uncle Sol and his assistant, Vernon, are frantically trying to find the children. The only problem Sol and Vernon have is that they are not sure of the exact time or place the children were sent. Fortunately, Vernon has a plan. Admiral Jonathan Archer has barely settled in as Starfleet Chief of Staff when new crises demand his attention. The Starfleet task force commanded by Captain Malcolm Reed continues its fight against the deadly Ware technology, but one of the task force ships is captured, its Andorian crew imprisoned by an interstellar Partnership that depends on the Ware for its prosperity. Worse, the Partnership has allied with a renegade Klingon faction, providing it with Ware drone fleets to mount an insurrection against the Klingon Empire. Archer sends Captain T’Pol and Endeavour to assist Reed in his efforts to free the captured officers. But he must also keep his eye on the Klingon border, for factions within the Empire blame Starfleet for provoking the Ware threat and seek to take revenge. Even the skill and dedication of the captains under Archer’s command may not be enough to prevent the outbreak of the Federation’s first war! Working for a crummy Portland newspaper, Alex St. John thought his life was at a dead-end. But when a madman’s nonsensical question sends him in pursuit of a serial killer, Alex finds himself in a nightmare world of violence and occult mysteries. With the help of eccentric writer Damien Smith, he discovers the murders are the work of a modern-day cult seeking to resurrect ancient evil—the demon-god known to Native Americans as Onatochee. Joined by a motley crew of allies — Irish researcher Michael O’Regan, beautiful occult enthusiast Trish Martin, fellow journalist Loren Hodges and her loyal dog Beowulf — Alex and Damien delve deeper into the mysteries surrounding the cult and its evil deity. With the growing realization that everything he thought he knows about the cosmos is wrong, Alex faces death, betrayal and a growing army of possessed killers. Only by discovering the hidden secrets of the past and accepting a mystical weapon from the hand of an enigmatic goddess can Alex hope to stop the return of the demon-god Onatochee. When a gruesome murder takes place in Braden Heights, Indiana, the local authorities suspect the disemboweled and eyeless corpse is the result of an animal attack. But when another body is discovered, the eyes gouged out, Sam, Dean and Castiel start looking for connections between the victims­—and discover both men were soon-to-be fathers. As the boys hunt the killer, they unearth the town’s troubled past, and secrets some would prefer stay buried forever. As the violence escalates, Dev finds himself battling to restore order – but he has only seventy-two hours before his genetically engineered host form breaks down irreversibly. And all as an ancient god-beast rises from the depths to usher in an apocalypse.